Good morning friends sorry about the nearly blank post the other day, I hit the wrong button on my blog post and it went out with just one paragraph. I’ve been making lots of mistakes lately, (unfortunately)… I’m not sure what’s going on, someone the other day said it’s because I am “middle aged” I’m not really sure how I feel about that distinction but forgive me – I do make a lot of mistakes. You can get this 9 piece stamp set in either clear or wood but only until TODAY with a $50 order before shipping and tax. Here is a sample. 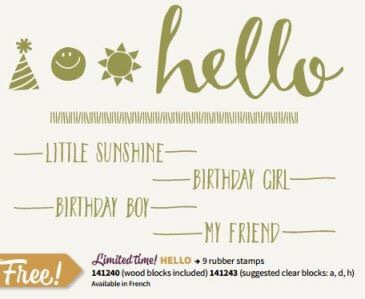 This set can be used in so many ways with all the cute little verses like “my friend”, “birthday boy”, “birthday girl” and “little sunshine. The Perfectly Artistic Designer Series Paper is a must have with it’s soft colors and marble design. 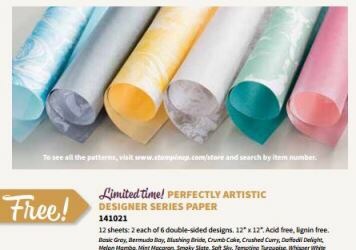 Again you can get this pack of designer series paper that has 12 – 12″ x 12″ sheets: 2 each of 6 designs with a $50, but only until today (midnight). 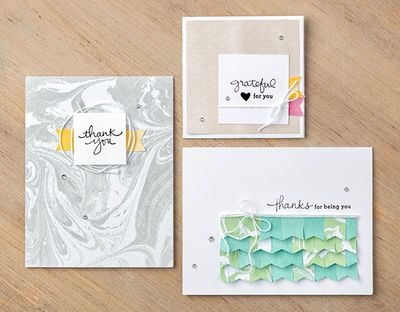 Look at some of the gorgeous things you can make with this paper, I am truly addicted to this paper it is awesome! And last but not least is the Stamp Set: The Sky is The Limit. This set soared in popularity at my classes and workshops this month. 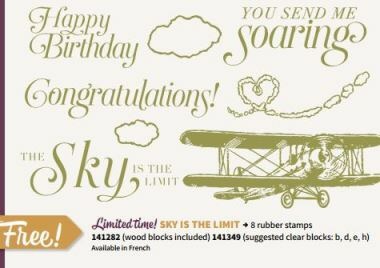 Don’t let this set fly away without adding it to your stamp collection! I have to say I love everything that has been made with this stamp set- it’s a keeper! Well thank you for visiting my blog today, if you have this day off from work (do you say happy Presidents’ Day?) I hope you enjoy some crafty time let me know if you need any help placing an order in my online store! Or shoot me an email or phone call I have an order going in tonight with my club. ~Lynn Streifert. 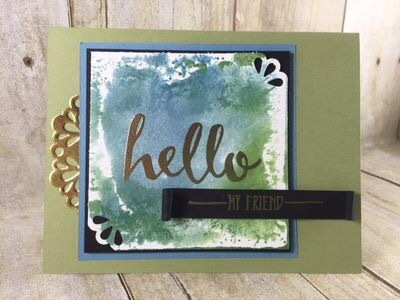 Independent Demonstrator, Stampin’ Up! 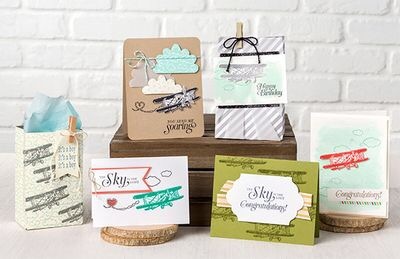 Sip & Stamp Party, Workshops and Classes offered in your home or mine featuring: Project Life/Memory Keeping- aka scrapbooking (paper and digital), card making, paper crafting, Big Shot die cuts (by Sizzix), and a variety of 3D objects and gift items. Think of me for Birthday Parties, Kid Crafts, baby and bridal showers, weddings, and special anniversaries or parties where you need customized invitations or decorations!